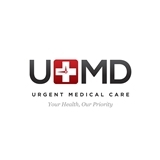 UMD Urgent Care (New York) - Book Appointment Online! Our UMD Urgent Care facilities are conveniently located in your local New York City neighborhood. Our experienced board-certified physicians and healthcare professionals provide high quality medical care to each and every patient. UMD Urgent Care clinics have multiple examination rooms and highly trained staff members to ensure quick registrations and comparably low wait times. We have modern facilities equipped for X-Rays, EKGs, and Spirometry exams, and have on-site laboratories for any necessary testing as well. (Blood tests, urinalysis, etc.) Your health is our priority, and our staff members pride themselves in helping to make the medical process as easy and efficient as possible. No appointment? No problem. We are walk-in facilities and do not require appointments or referrals.